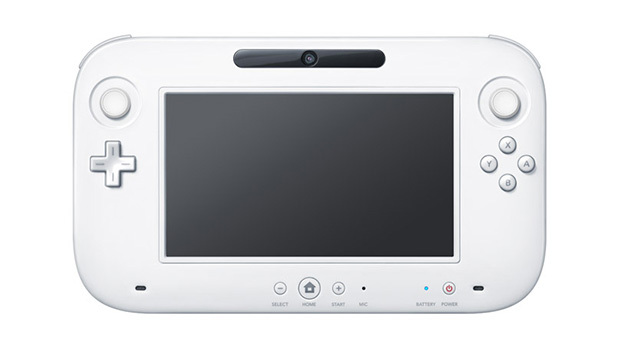 Nintendo has made available some more specific information on the Wii U hardware, along with a few images of the console and tablet that demonstrate the ways in which you can use the devices. (You can view them in the gallery below.) With this new console, Nintendo is finally making the jump to the HD generation. The console's AV Multi-Out port can output a 480i, 480p, 720p, 1080i, or 1080p feed via composite video, S-video, component video, or HDMI, along with six-channel linear PCM audio over HDMI. Its slot-loading disc drive will play Wii U games, which will come on "12-centimeter proprietary high-density optical discs" (i.e., not Blu-ray or DVD, but perhaps a format similar to them), as well as Wii games. No compatibility with GameCube games has been mentioned, but we don't yet have definitive yes or no confirmation. The unit is about 10.5 inches (268.5 mm) long, 6.8 inches (172 mm) wide, and 1.8 inches (46 mm) deep. The tablet controller -- which Nintendo is simply calling the "New Controller" at this time -- includes an AC adapter port, likely for its rechargeable battery, as well as a "sensor strip" (presumably, this is the dark gray strip at the top in which the front-facing camera is embedded). For more information on the tablet's feature set, check out the update to our original Wii U post, as well as Nick's hands-on with the device. The Wii U will contain internal flash memory -- no word on how much -- and its storage will be expandable with an SD card or an external hard drive (the console features four USB 2.0 ports). Its CPU is an IBM Power-based multi-core processor, but Nintendo has not yet released further details. We'll let you know as soon as we know more.